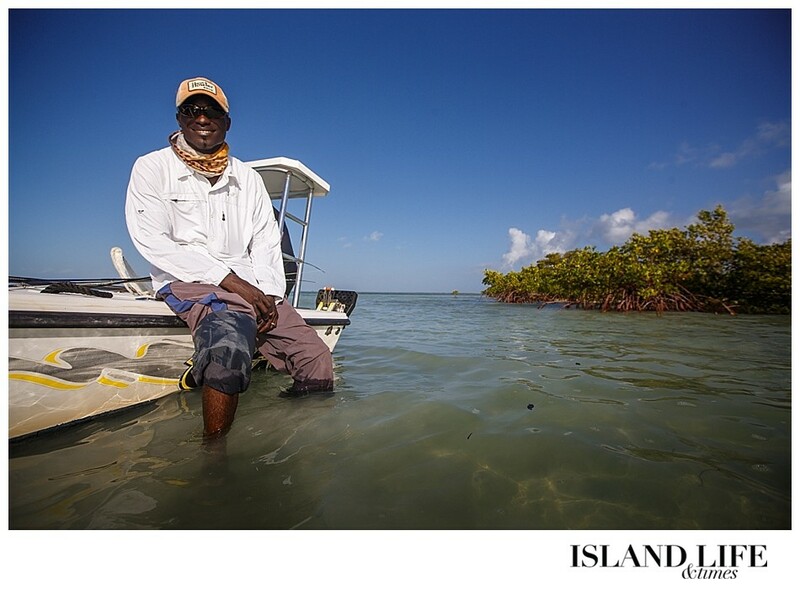 In the art of Turks and Caicos bonefishing, the first step is to pinpoint the prey. Look for shallow water clouded with stirred-up sand, and long, moving shadows. 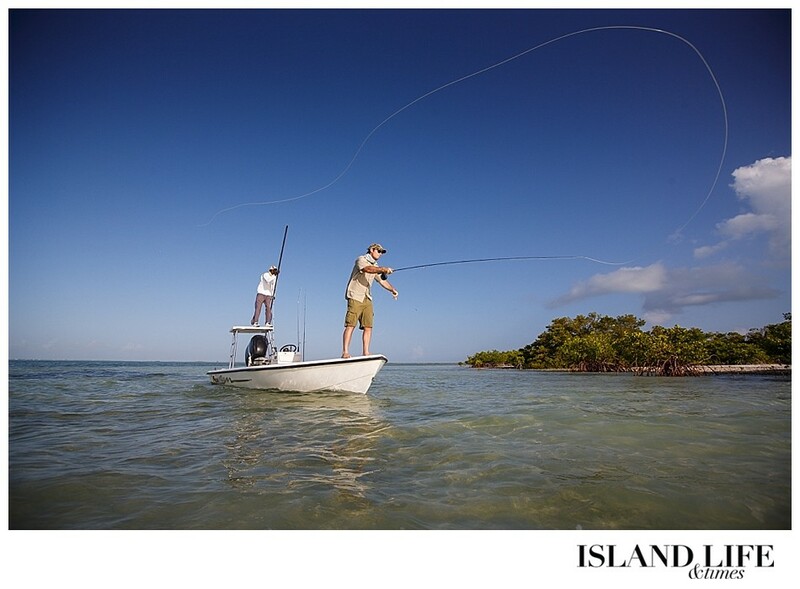 That’s where you’ll find the fleeting bonefish. And that’s when you’ll cast your line. 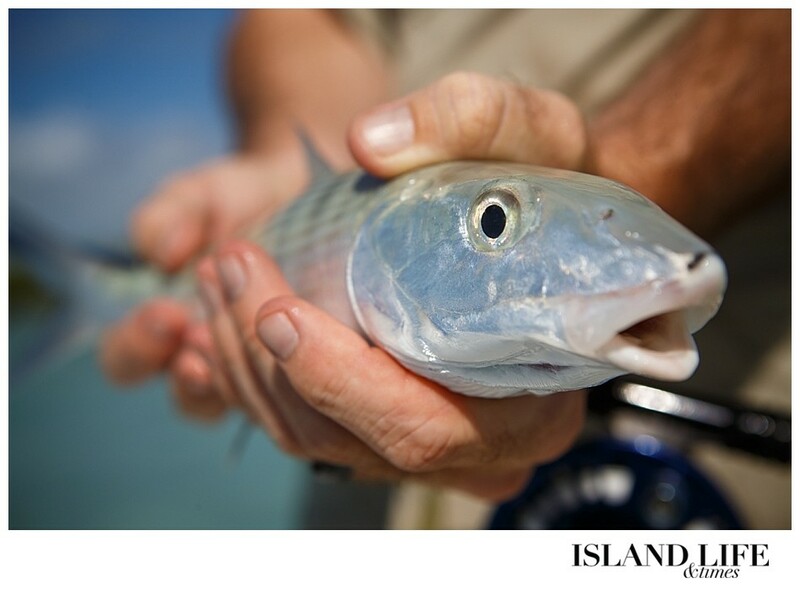 Bonefish anglers don’t rely on luck, but rather a keen sense of sight and the ability to cast a fly rod well. Relative silence helps, too. “As long as you’re not beating the boat, we’re good,” says Corey Knowlton, 35. 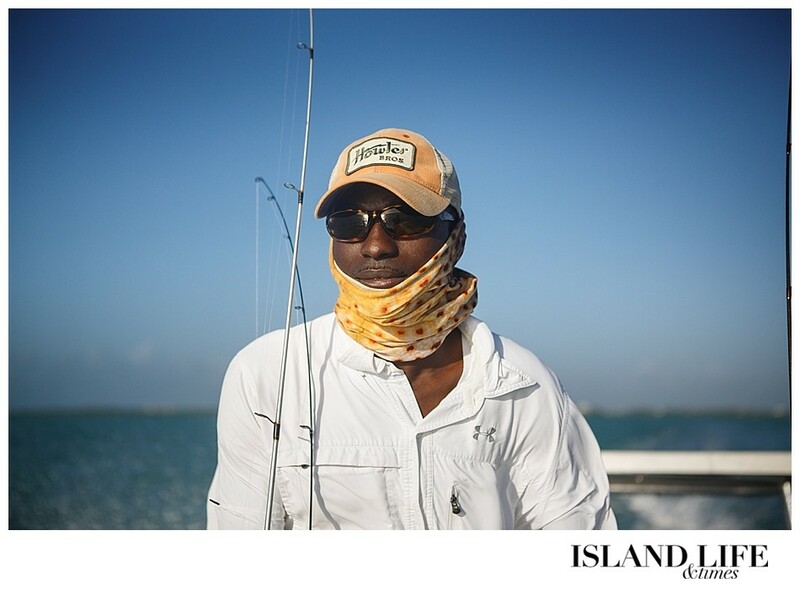 Knowlton hails from Texas but is on his third trip to the Turks and Caicos, where he was introduced to the delicate art of bonefishing. “You can talk, but not so loud,” says Darin Bain, 36, owner of D.B. 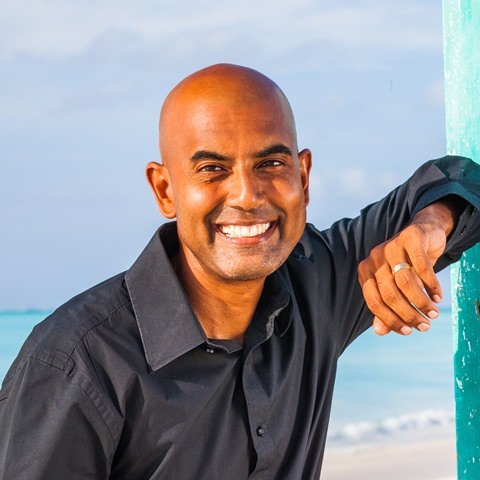 Tours on Providenciales. Darin first took Corey out bonefishing about two years ago. The hunt for the “grey ghost” – nicknamed for its ability to blend with its surroundings – has taken hold of Corey since then. 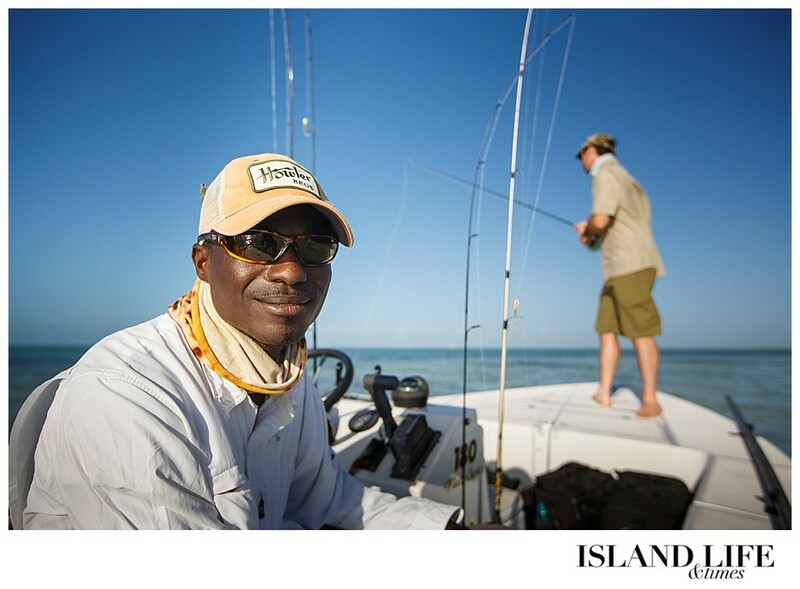 To catch a bonefish, you must know how to sight fish. You never cast your line blindly. You quickly learn the signs to look for, and from there it takes practice. 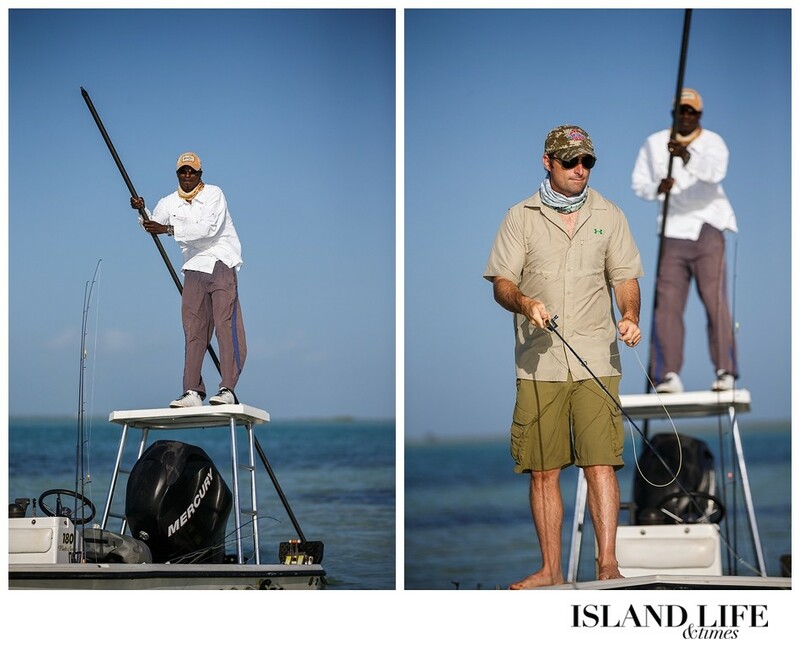 On a clear day, Darin says, you can spy bonefish up to 100 feet away. If you don’t see the silvery fish itself – it is a master of camouflage, after all – you might see its shadow on the sand. Or you’ll see clouds of sediment – signs of feeding bonefish as they dig up crab and shrimp. 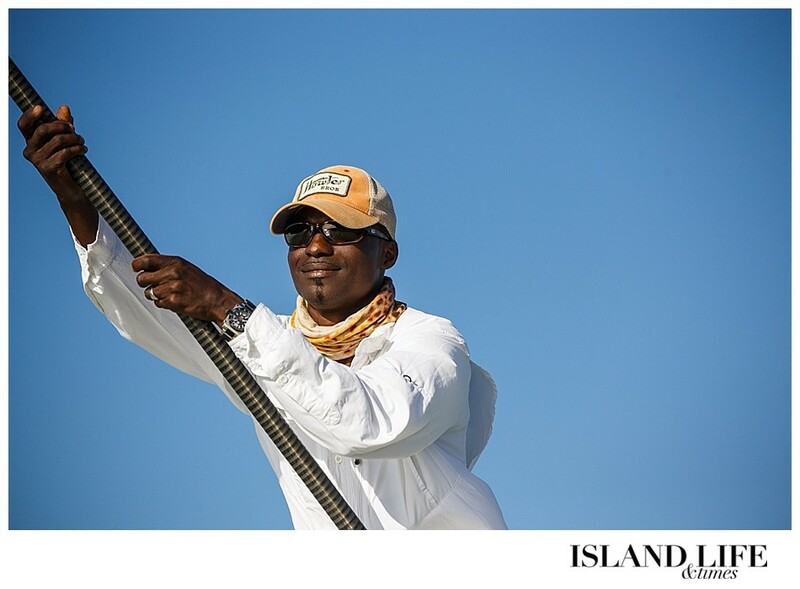 Want to read more about the art of Turks and Caicos bonefishing? 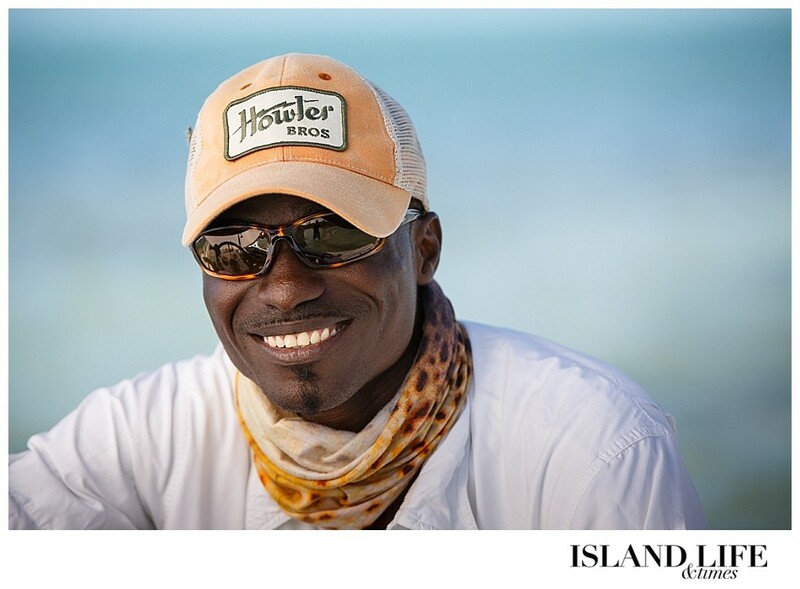 Darin has been running Turks and Caicos Bonefishing tours since 2006, but he’s been fishing since he was a kid on Middle Caicos in the 1980s. He and his friends would walk to the beach, dig crabs out of their holes to use as bait, and hook them onto a line. They didn’t have fly rods, though. It was handline fishing for them, the oldest form of angling. 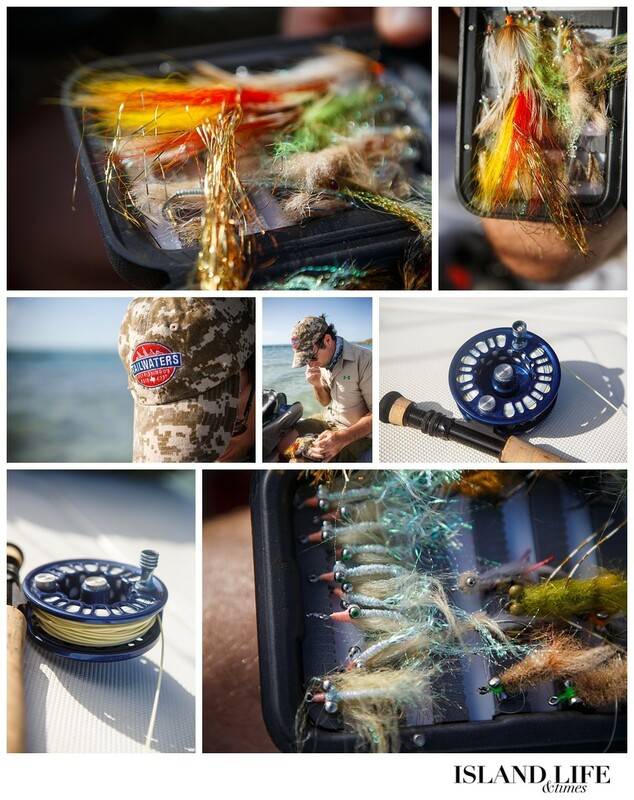 It’s just what it sounds like – a fishing line held in hand. They caught shad, snapper and bonefish. And in those days, just as he does now, Darin would find fish by looking for murky water and shadows. 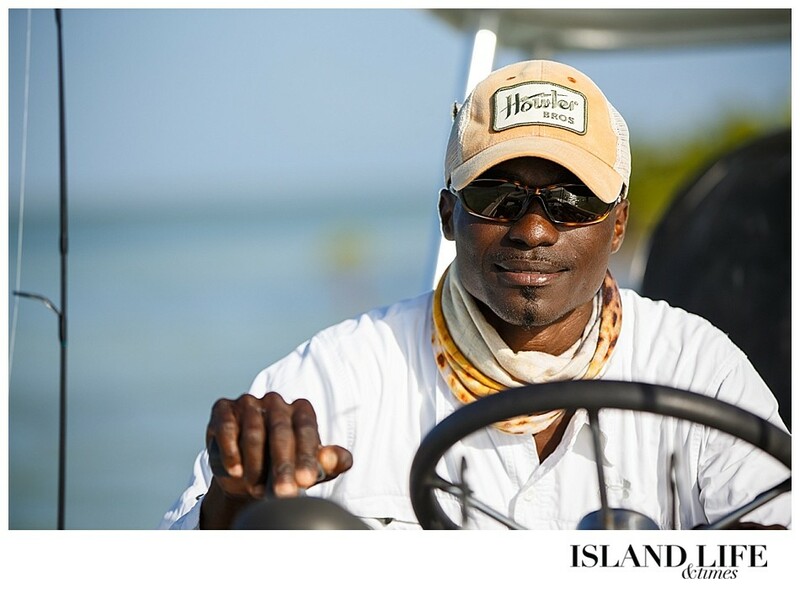 While no one can deny the thrill of catching a big fish, perhaps it’s the quest itself that makes Turks and Caicos Bonefishing so addicting. 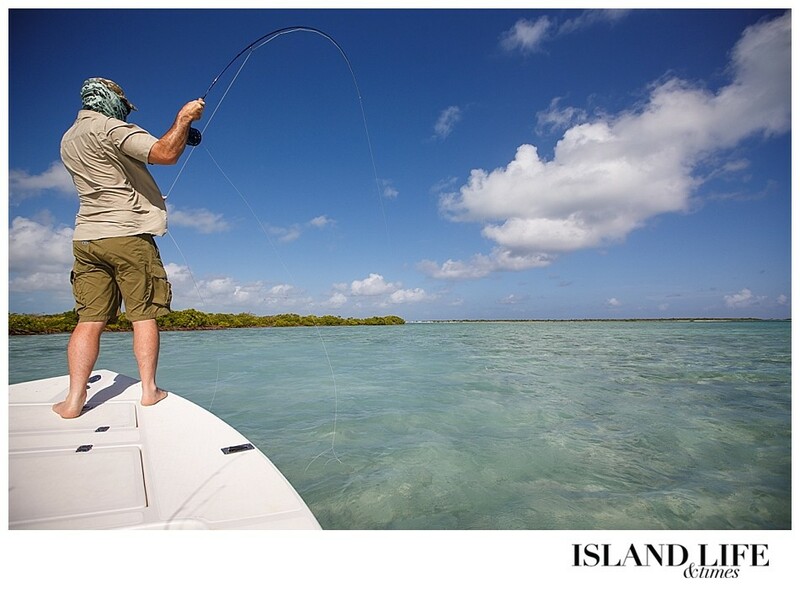 The journey to each fishing spot offers more than enough to fulfill one’s appetite for aesthetics. 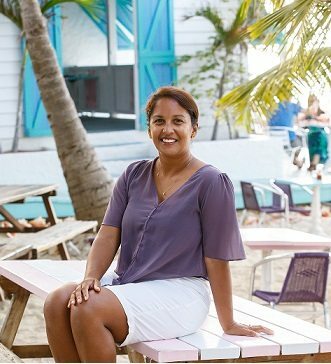 Coasting along the tidal flats of the Caicos banks, don’t be surprised to see starfish, sea turtles or stingrays. 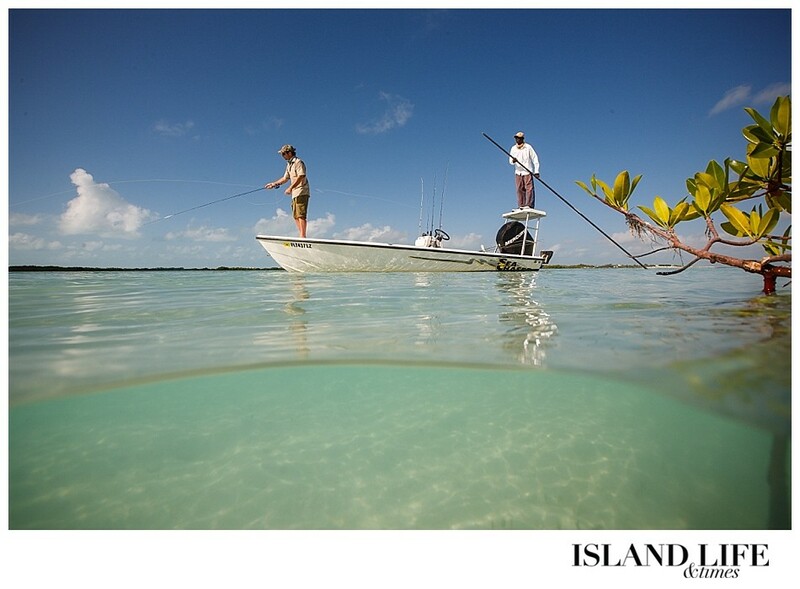 And once you arrive to your secluded spot, it’s just you and the slick silver fish beneath the water’s surface. Then the test begins. It’s a test of vision, of geometry, but above all, it’s a test of patience.